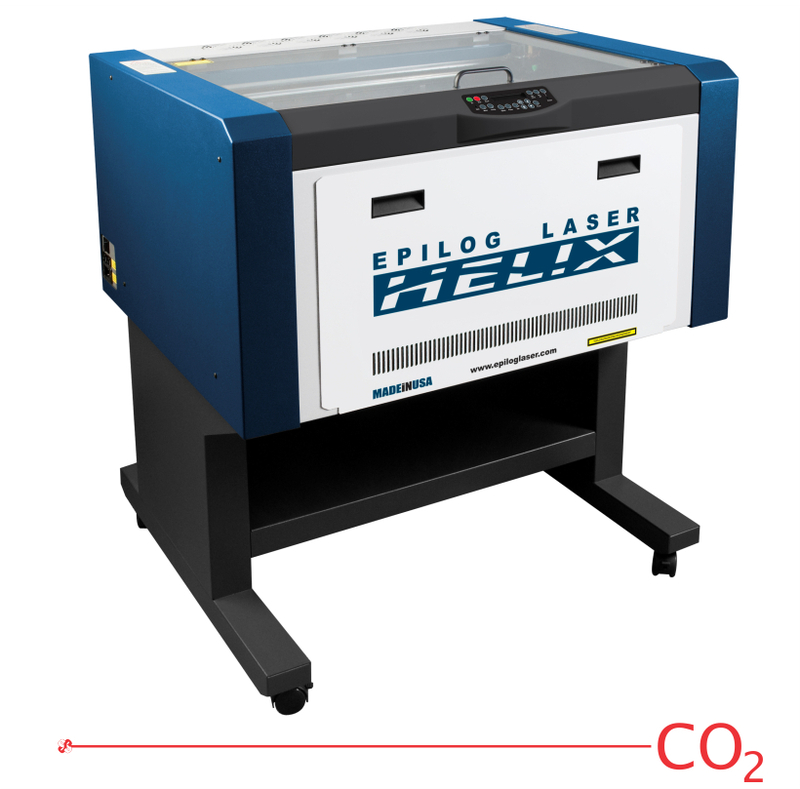 For engravers looking to work with large engraving pieces, the Epilog Helix is an ideal choice. The Helix’s generous 24″ x 18″ x 8.5″ (610 x 457 x 215.9 mm) engraving area will allow you to engrave multiple pieces as well as thicker materials, including boxes and vases. Power choices of up to 75 watts, large engraving area of 24″ x 18″ x 8.5″ (610 x 457 x 215.9 mm), and Radiance High Definition Optics combine to make the Epilog Helix our most popular choice for engravers worldwide. The Helix will allow you to produce deeper, faster engraving and cutting results than ever before!